Hi guys, We are back with another one app to earn free paytm cash.As a promotional offer, Now Highway Delite Road plan trips offering Rs.15 per Refer. You can redeem your earnings as paytm cash. highway delite is first & only FREE travel app designed for Indian highway travellers/ Indian road trips to make highway travel/ road trip fun and safe. 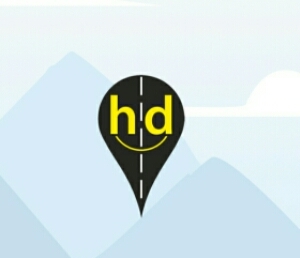 highway delite provides you with verified & reliable information for 6000+ km of highways including photos, routes, maps about Indian highway based veg restaurants/ dhabas, hotels/ lodges, fuel stations/petrol pump, toilets / wash-rooms, mechanics, emergency numbers, accident zones, places to visit, pharma, medical facilities & toll gates. So, now just follow the below steps to get paytm cash . 2) Then share your referral link with your Friends. ◾ To redeem your earnings you have to mail your refer code here to this email hi@highwaydelite.com and they will update the referral amount in your account. ◾ Now open the app on Redeem section, enter your paytm number. ◾ You will get your Paytm cash within soon.